harry and chris are on tour soon - see here for dates. oxford which is early on has sold out and i have booked in for leicester square even though it is december as that seemed to be selling fast. so check out their dates and go see them if you can. they played greenbelt mainstage this year off the back of a sold out run at edinburgh festival and it was an incredible show to be at. they always seem to have so much fun but what was striking at greenbelt was how many people knew them and knew the words to songs and poems. it was a proud parent moment for sure! i am happy to have contributed some photography for harry and chris publicity and this year's tour poster photo is one of mine again (though the making it snazzy through photoshop is someone else's work). it was so great at greenbelt to see proost in action. a while back aad, jon and i who dreamed up and ran proost, a small publishing company for grassroots alt worship resources, felt it was time to let it go and pass it on to someone or some people who could bring fresh vision and energy to it. it took a while to find but that person turned out to be andy freeman. it has proved a really cracking decision as he has done exactly that. this year at greenbelt proost were running several events, a stand, and have a revamped web site. they also have published future present which i am involved in and which you can now order through the web site. and on top of that there is a new poetry colletion reaching for mercy. as with the first, learning to love, there are loads of poets. the book is organised into themes and there is quite a community of proost poets growing now. i picked up the book at greenbelt and t looks great. i also have a poem in the book - it's possibly the only poem i have written (though i have written loads of songs over the years). and it amuses me to be able to say to harry now that he is not the only published poet in the family! we didn't shout about the change in proost when it happened - it seemed better to just let it happen but it's great now to see it gaining momentum and being carried forward - way to go andy and the team involved in reaching for mercy. the name proost came about because when we set it up we were in a pub drinking beer and aad (who is dutch) said 'proost' which means cheers and we decided that was a good name. so andy 'proost'! as part of faith in the world week harry was commissioned to write a poem who is my neighbour? which aired on radio 2 this morning - you can watch a video here. as ever it's fab! one of our pioneer students this year found her voice not only as a brilliant feminist theologian and pioneer but also as a poet. her MA dissertation incorporated a few poems including one on formation. formation is a word i confess i did not use before i got involved in training people getting ordained. it's whispered in magical tones in grand corridors because that's what it is all about apparently. from day one that i got involved i sought to find out what people were getting at and realised pretty quickly there are formations plural i.e. a range of ways of training and forming students and maybe not all aspects are desirable. it's something contested in other words and i hope at cms we have developed our own take on what formation might be. but all that to say ruth wells has a poem formation on her blog that i hope she won't mind me posting here and linking to. she has some others on her new web site playing with poetry - go follow along. Hold on – who am I? I remember, I was someone else once. Formation – anaesthetising the self out of me. Forged in the fire of the machine. I am a multi-faceted collection of rough edges. if you are looking for ideas and resources for lent then have a look at proost - an update with links to old and new material is here . lent seems to have become a season for many groups to explore faith creatively. in grace this year we will be reading and discussing about henri nouwen's book life of the beloved to reflect on discipleship and what it means to follow christ in today's world. one of my favourite ever resources on proost is the collection of poetry learning to love and i'm really pleased to say that chris goan who curated that is now pulling together a second collection - go and read his blog post about it to find out how to contribute. this and then this today! kate tempest in fine form on q and a with a poem progress. it's also worth watching the discussion on diabolical regimes that leads up to it which is here. proost is on a roll this year with some great material - it's worth subscribing then you can log in to the back end whenever you like to download resources. don't forget if you are in the usa there is a us site here where you can pay in dollars. ... harry is coming your way and performing next week on feb 3 and 4. sadly i won't be there myself! night of poetry and music, bring a picnic and a friend. The icon is said to represent the Trinity, the three angels being those who visited Abraham. As I walked round Birmingham, I had a sense of being a guest there, at one moment isolated, then next welcomed by the city. I felt as Abraham did, being invited to take a place at the fourth side of the table and commune with God in that context, a welcome wariness. There are bits and pieces of Birmingham in the picture, probably some actual dirt from the streets – as we took texture rubbings from the pavements and walls, and in the repeating patterns. You may recognise the circles as the pattern on the Selfridges building which dominates that part of the city, reflected everywhere in windows and street furniture. Then just round the corner is a bit that’s frightening at night – as overheard by one of our artists. I kept to a palette of greys, with the occasional point of bright colour, as we had observed in the city itself. It’s deliberately half realist, half abstract, because that’s a style I’ve been reaching for as an artist, it’s something I appreciate in others work and want to reproduce myself. 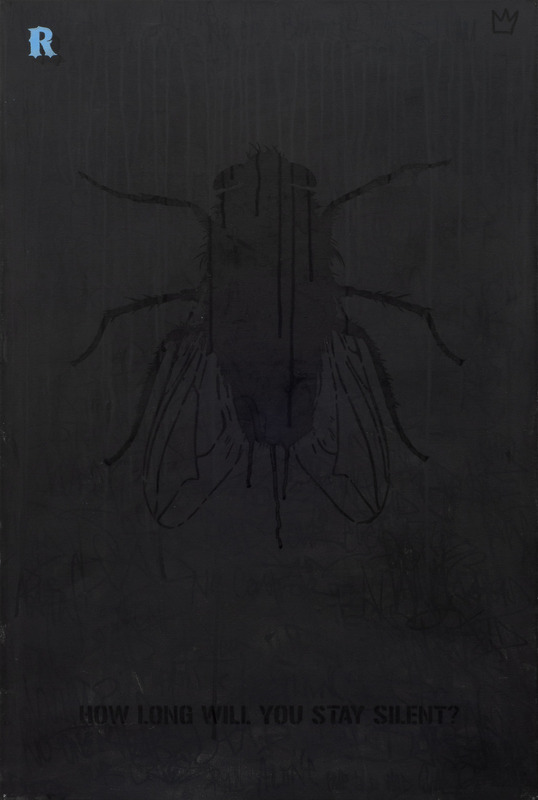 The realism gives you a hook to understand it and the abstraction sets you free. I want to create a balance between the two. at the same conference tim watson wrote some liturgy and poetry on the theme of new parish neighbourhood which you can download here - if you look online realise it is two pages. the first is a poem and the second a call and response liturgy called nobody crosses the road. i am making these a worship trick - remember those?! london fashion week now in soho - harry sounding very london in this poem! harry is having a pretty good first month making a life as a poet! Underneath the veneer there is a melancholic yearning that often seeps through, a deep awareness of the intrinsic ache of the human condition. With this in mind, the poems develop into an argument for a positive outlook, for self-belief and for finding meaning somewhere within ourselves. This is a performance that will make you laugh and make you think; art at its transformative best. as well as doing that he seems to have got himself invited into other events/shows to perform every day which is fun and how you get the word out about your show. this included an invite to perform on simon mayo's radio 2 show - a one minute poem reflecting the contents of the show. this went so well that he was invited back for the week. those shows are up on inlayer for mon, tues, weds, thurs of this week and no doubt the bbc web site as well (it's the first time i've listened to radio 2 for a while being more of a 6 music fan myself…). i'm heading up to edinburgh on saturday to see the show and hang out and cheer him on which i'm looking forward to. the month will end up with him performing at greenbelt festival. today there is a big feature on him in the church times which is a rather lovely piece. also this month (probably week) his TED talk will hit one million views by the looks of it - which is pretty amazing. i can't imagine every month going quite so swimmingly but not a bad start!!! i'm thinking i probably should get a t-shirt saying 'harry baker's dad'. if you are in edinburgh saturday come to harry's show - see you there - though get there early by all accounts. fear and dust is a book of poems, prayers and hymns to a wild creator god from tim watson who has a couple of other books on proost. 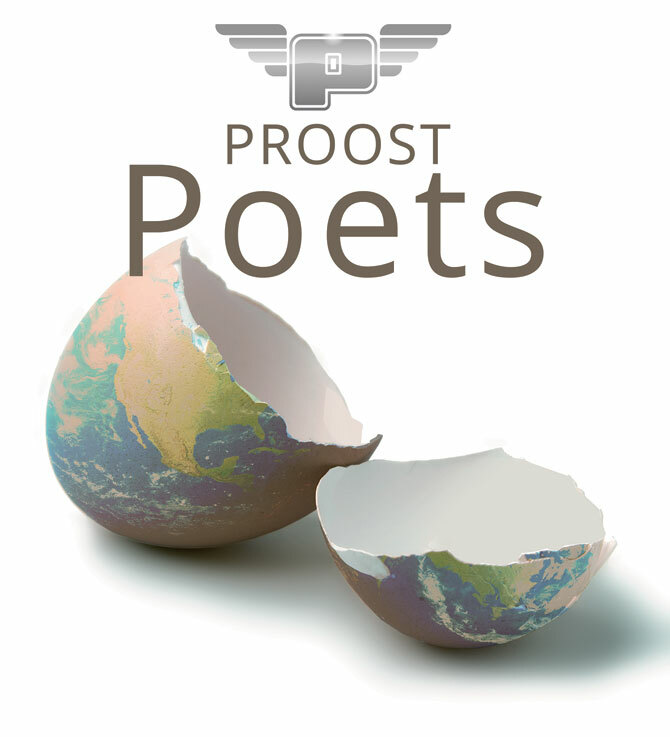 as you know if you know proost we love poets! the good news is it's volume 1 so there will be more to follow… it's available as a pdf. very nearly a whisper is an album of ambient music from dennis hendricksen who i met on a visit to canada. he is new on proost and there is a sample track on the page if you want to have a listen. you can of course subscribe to proost for a year which means you can access any of the content when you like, including lots of resources for easter for example. amazing to see off the back of harry's previous TEDexter talk that he has been added to today's TED talk on the main site - congrats harry!